A tray is defined as a receptacle of plastic, metal, etc. to present the things to the guest in any occasion be it birthday party, anniversary, get together and so on. This highly functional item has become an icon of style as well. A trendy and attractive tray adds elegance to the party with its looks. Jute is one of the most popular materials to design a tray. Tray designed from jute makes the tea and coffee party perfect with its beauty and functionality. Jute tray adds beauty to the decor of the establishment also be it home, restaurant, hotel, office, etc. In addition to its high utility features, it is used as a decorative piece to add a striking look to varied sectors. Now a day, people use trays made from jute to present to their near and dear ones due to their unbeatable style along with high end features. For gifting purposes, jute trays are designed according to different occasions. A user can have trays of jute in a varied range that includes gift jute tray which are available in attractive designs and colors. To make these types of trays more beautiful, they are adorned with varied fabrics like silk, cotton, linen, etc. In addition to this, sequins work, embroidery, patches work are also done on them to enhance their beauty. Jute trays can also be adorned with stones, beads, gems, mirrors, etc. to make them ideal decorative pieces. 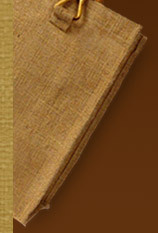 Jute Tray made of Jute so that the unbeatable qualities of jute can be added to it. This useful item for display purposes is highly durable and strong that cannot break down easily. 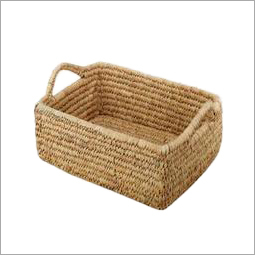 Jute trays can easily handle rough and tough handling without any damage due to its high strength feature. This eco-friendly item is highly economical can be bought by low budget person as well.